Snow, ice, drought, and everything in between! Below is a summary of highlights from recent Marion County Board Sessions. The commissioners meet weekly to formally consider county business. Board Session information is posted on-line at www.co.marion.or.us/BOC. From here you can access the current agenda with supporting information, link to meeting videos, and view past agendas and meeting minutes. For more information, contact the Board of Commissioners Office at (503) 588-5212 or commissioners@co.marion.or.us. Approved distribution of $80,000 in Business Development grants from video lottery proceeds. See story below. Approved an Intergovernmental Agreement with the Oregon Department of Corrections for the Women’s Reentry Program. Under this IGA, Marion County Parole & Probation will provide reentry services for up to 20 female inmates who have between 30-180 days until their release from the Department of Corrections. Inmates will receive reentry services ranging from mental health and addictions treatment, employment preparation, and transitional planning with the aim of facilitating successful reintegration into the community. Received a report from Marion County Emergency Management summarizing the county’s response to the snow and ice emergency in Detroit and Idanha. See story below. Approved a resolution in support of the National Association of Counties (NACo) Stepping Up Initiative. Stepping Up is a national initiative around diverting individuals with mental health or substance issues from county jails. A Stepping Up workgroup will convene to ensure timely screenings and assessments, inventory services offered, and find ways to fill the gaps between law enforcement, prosecution, and public and mental health. Marion County has a 10-year track record of improvements in this area with strong collaboration between the Sheriff’s Office, District Attorney’ Office, Health Department, and other law enforcement agencies. Approved a resolution authorizing property tax exemptions for surviving spouses of public safety officers killed in the line of duty. The tax exemption allows exemption of up to $250,000 of assessed value of homes owned and occupied by the surviving spouses fire service professionals, police officers, or reserve police officers. The exemption is effective for the 2017-18 tax year that begins July 1, 2017. In December and January Marion County saw its share of winter weather. From snow, ice, and rain our region has experienced the force of Mother Nature. During our first snow storm in December, Marion County Public Works had more than 60 employees working round the clock to sand, plow, and deice roads. We deployed 25 pieces of equipment, applied 400 tons of sanding material, and 6,000 gallons of deicer. This process was repeated again and again as needed by weather conditions. We can’t say enough thanks to county public works and public safety employees who were out day and night to help keep the rest of us safe. In mid-January crews were back out assisting the cities of Detroit and Idanha in the North Santiam Canyon. Both cities needed assistance after the series of winter storms and declared local emergencies. Marion County collaborated with each city, the Detroit-Idanha Fire District, Linn County, and local volunteers to bring relief to the residents of Detroit and Idanha. Community Emergency Response Team (CERT) members worked side-by-side with youth search and rescue volunteers from Linn County going door-to-door to ensure residents were safe and provide assistance as needed. Deputy-supervised inmate crews worked to clear snow from structures, fire hydrants, and water meters. In addition, snow was removed from 24 structures and six sidewalks were cleared. 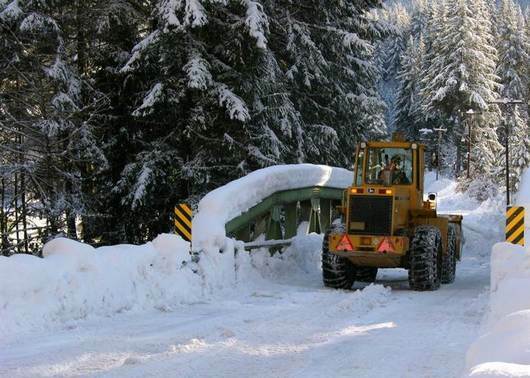 Fortunately, crews only encountered five structures with damage due to snow. The recent deployment in Detroit and Idanha is one example of how the county, cities, and volunteers have come together to help our neighbors when needed. The spirit of volunteerism is alive and well in Marion County – CERT volunteers from five cities responded to help the residents of Detroit and Idanha. We can’t say enough how important volunteers are to Marion County. We rely on trained emergency volunteers who are ready to respond when called upon. If you would like to become a CERT volunteer, contact Erik Anderson with Marion County Emergency Management at (503) 365-3186 or email eanderson@co.marion.or.us. The Board of Commissioners recently awarded $80,000 in Business Development grants to three Marion County businesses. The county has allocated $150,000 of state video lottery proceeds in the current year for the Business Development program to support private sector job creation in the manufacturing, agriculture, and tourism industries within Marion County. 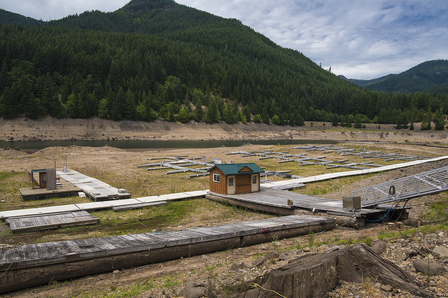 The Detroit Lake Marina and Kane’s Marina in the Santiam Canyon will receive funds for installation of gangplank systems to extend boat ramps and docks to provide boating access to the lake during low water years. Both projects support business resiliency during low water level years and will extend the boating season by five weeks in normal years. The combined projects are expected to create 10 new jobs and retain 18 jobs over the next two years. Santiam Ice Company received grant funds to support an overall plant growth project. The project will expand the company’s ice production and expand service delivery to new markets. The project is expected to create six new jobs and retain three jobs over the next two years. Economic development grant applications are accepted on an ongoing basis and reviewed monthly as received. For more information, contact the Community Services Department at (503) 588-7975 or communityservices@co.marion.or.us or visit our website. 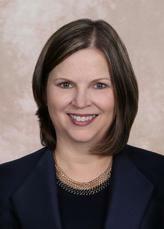 Marion County Commissioner Janet Carlson was recently appointed to represent Oregon on the National Association of Oregon Counties (NACo) Board of Directors. Commissioner Carlson is a past-president of the Association of Oregon Counties. As a commissioner, she focuses on public safety and health care, serving as chair of the Marion County Public Safety Coordinating Council, co-chair of the Mid-Willamette Homeless Initiative, and chair of Willamette Valley Community Health Board of Directors. Founded in 1935, NACo brings county officials together to advocate with a collective voice on national policy, exchange ideas and build new leadership skills, pursue transformational county solutions, enrich the public's understanding of county government, and exercise leadership in public service. NACo represents America’s 3,069 county governments. Walking dogs, advocating on behalf of crime victims, and making policy recommendations to the Board of Commissioners – these are just a few of the volunteer opportunities available in Marion County. Volunteer positions are varied and there is something for everyone. For a list of volunteer opportunities or to learn more about Marion County’s volunteer program, contact Volunteer Coordinator Lisa Miller at (503) 588-7990 or visit our website. Bear Creek Park and Campground – Volunteer host at Marion County’s only campground. Duties include interacting with the public, checking in campers and collecting fees, firewood sales, trash removal, restroom cleaning, and light trail work. Service dates are May 1 through October 31. 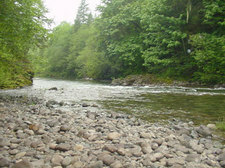 Camp host receives asphalt RV pad with hook-ups and direct access to the Little North Fork of the Santiam River for swimming, picnicking, and fishing! Local Alcohol & Drug Planning Committee (LADPC) – The LADPC makes recommendations to the county’s Health Advisory Board and the Board of Commissioners on matters related to alcoholism, alcohol and drug abuse, and drug addiction. The committee addresses education, treatment, prevention, rehabilitation, law enforcement, criminal justice and law reform. Committee members are appointed by the Board of Commissioners to serve two-year terms. Solid Waste Management Advisory Council (SWMAC) – Review and make recommendations regarding the county’s integrated solid waste system. Topics can include waste reduction and recycling, increasing public awareness of waste issues, and improvements to the county’s solid waste system. The council is currently seeking representatives from community organizations and citizens-at-large. Intellectual and Developmental Disabilities Advisory Board (IDDAC) – Assist the Health Department plan and oversee local programs and resources for people with intellectual and developmental disabilities. The board is seeking family members of individuals receiving disability services and disability advocates. March 8 - Save the date! Check out our full Meetings & Events list.